You have finally decided to take that dream vacation. Your boat has been rented and you are on your way to see some whales. Whether you are looking for gray whales off the coast of California, orcas in the Puget Sound, or humpbacks off the coast of Maine, marine mammal viewing comes with certain restrictions designed to keep both you and the wildlife safe. Following are some tips for the best locations to visit and a reminder of the things of which to be cautious. If you understand the whale watching guidelines you will get a great view of these magnificent creatures without risking a Coast Guard citation. The whale watching guidelines are derived from the 1972 Marine Mammal Protection Act (MMPA). Though this act was created to prevent the “take” of marine mammal species, this term doesn’t only refer to hunting. Unfortunately, a high number of marine mammals are killed by encounters with motorboats year after year. This includes direct deaths from things like propellers and more subtle effects as well. As a result, the rules are designed to consider the normal behavior of different marine mammals and to encourage boaters to act in a way that does not disrupt the animals. The guidelines are pretty simple and are based on your distance from the whale. They come with a few exceptions, but below is a basic breakdown. As theses are just a summary of the guidelines, take a look at the National Oceanic and Atmospheric Administration and US Coast Guard websites to gain a full understanding, ask questions and see diagrams pertaining to whale watching from yout boat. You should never approach a whale, or any marine mammal, from less than 100 feet away. If a whale surfaces closer than this to your boat, then stop. Put your engine in neutral. Look around and try to count the number of whales that you need to watch. Do not re-engage the engine until you are certain that all the whales in the area are clear from harm. This is known as the close approach zone. Only one boat at a time is allowed in this area in regard to one whale, for a maximum time of fifteen minutes. If there is a pod, then different boats may choose to reach the close approach zones of different whales, provided they don’t encroach too closely to another whale, and that they never approach the whale head-on. In the close-approach zone, stay at no-wake speed, keep a parallel course to the whales, and avoid drifting too close. Maintain communication with other boats in the area. This is known as the stand-by zone and is where most professional whale watch boats stay when looking at whales. 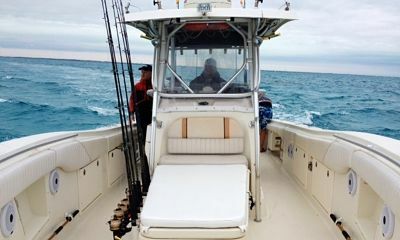 It allows you to maneuver at speeds up to 7 knots and puts you in communication with other boats hoping to be the single boat in the close approach zone. Viewing is usually fantastic at this distance, and your passengers will still feel like they have a front row seat to any surfacing or aerial acrobatics that you may get to experience. Reduce speed to 7 knots, and watch the direction that the whale is headed. Try to stay out of its head-on course. Keep speed below 10 knots. Watch for approaching whales. Reduce speed below 13 knots, post a dedicated lookout, and keep your course and speed predictable and steady. Depending on where you want to go, there are a number of wonderful species of whales to see, as well as a number of other cetaceans (the biological order that whales, dolphins, and porpoises belong to). If you are unsure of the species, pick up a whale and dolphin guidebook to help you. When identifying the mammal, be sure to pay attention to dorsal (back) fin shape, the shape of the blow, the length, color, and the time of year and area where they are found. Additionally, pay attention to the types of food specific to each species. Gray, humpback, and right whales are more likely to be closer to shore. Humpbacks need large populations of small fish, gray whales feed on muddy bottoms, and right whales look for the copepods that often breed near shorelines. Krill eaters like fin, blue, and minke whales can be near or far, as their food can be found in the open ocean as well as near the shallow water of the shoreline. The three most common large whales seen here are humpbacks, fin whales, and minke whales. Smaller pilot whales, harbor porpoises, and white-sided dolphins are not uncommon. Rare sightings include Northern Atlantic right whales, orcas, common dolphins, and white-beaked dolphins. Rarer still are species like the beluga, who occasionally venture down from the St. Lawrence Seaway. 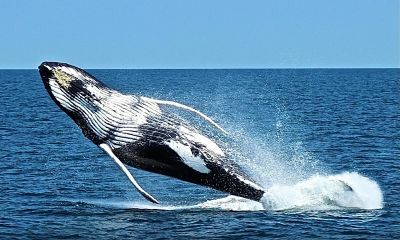 The best time of year to visit is summer, as humpbacks and their calves can put on quite a dynamic aerial show. The eastern shore of Florida is one of the locations where the endangered Northern Atlantic right whale is known to give birth, or calve, in the winter. If you choose to see these whales, remember the extended right whale rules. This species is particularly vulnerable to death by boat kill. The rest of the year, Atlantic spotted dolphins and bottlenose dolphins can be seen. Sightings are best from May to September, but be careful of hurricane season between June and October. Additionally, be cautious when boating in Florida of another boat-sensitive marine mammal, the manatee. The same boating rules apply when you see manatees. Gray whales are one of the best known species to watch in this area, but blue whales, Northern Pacific right whales, fin whales, sperm whales, minke whales, long-finned pilot whales, and humpback whales are also common visitors to the area. Whale migration season lasts between November and April. The inside sound around Seattle and Vancouver is one of the best-studied pods of resident orcas known in the world. There are three family groups totaling approximately 85 whales. 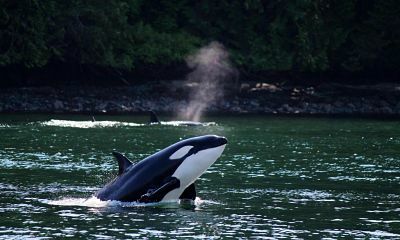 Between June and September, these groups may be seen feeding, travelling, and playing together. The Sound is also home to minke and gray whales, and harbor and Dall’s porpoises, and the occasional pilot or false killer whale. Southeast Alaska’s tourism centers around its unspoiled wildlife. 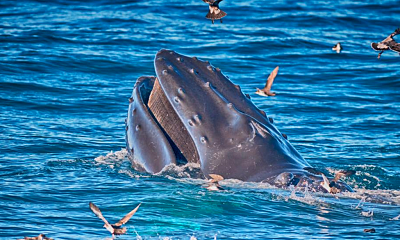 This is one of the best opportunities to see a vast number of whale species and individuals. 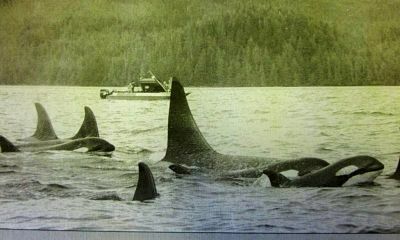 Large pods of orcas and humpbacks are summer regulars. Other common offshore sightings include fin whales, sperm whales, blue whales, Northern Pacific right whales, gray whales, minke whales, white-sided dolphins, and harbor and Dall’s porpoises. Summer is the best time to go, as the whales and their young are up feeding at this time, and many species migrate south from fall to spring. Another common whale watching site, this is the winter breeding ground for humpbacks. 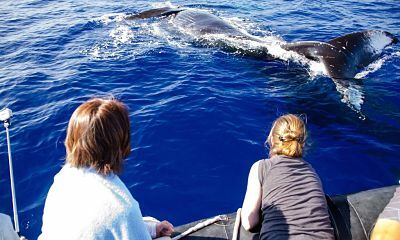 Snorkelers here are lucky enough sometimes to hear the calls of the whales to one another during the winter months. These calls can be heard by human ears up to twelve miles away. For more information about whale watching, visit the National Oceanic and Atmospheric Administration.